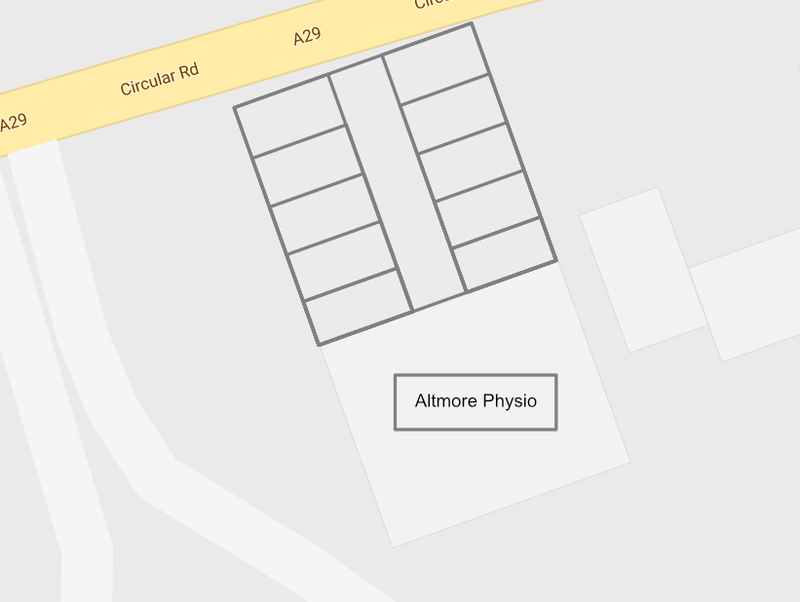 Ample parking is available in the private off street car park exclusive to the clinic. 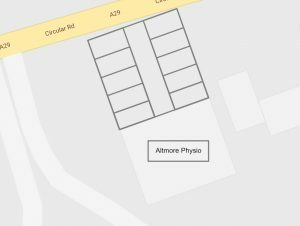 A car parking space at the front of the clinic is available for disabled clients. Disabled access to clinic entirely on ground level. 2 fully equipped treatment rooms with neck traction, ultrasound and interferential equipment. Kinesio tape for muscle/tendon injury. Re-hab suite with treadmill, exercise bike and free weights. Registered with all major private health insurance companies for physio treatment. No – self referral, where the patient makes the appointment directly with the clinic, is absolutely fine. Sometimes your GP or a consultant will directly make a referral for you, for example in the case of post operative rehabilitation. Will my health insurance company pay the physiotherapy fees? 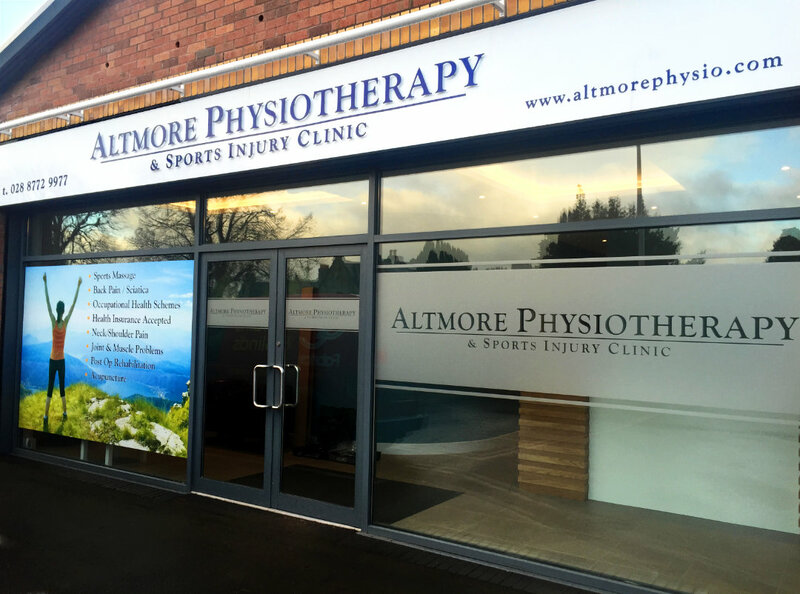 Yes, the clinic is recognised as a provider for most insurance companies including BUPA and PPP, but and you may need a referral from your GP in order to claim. Please check your policy. Typically a session will last between 30 – 45 minutes. If this is your first time visiting the clinic your first session will usually last around 40 minutes, with a review thereafter lasting approx 30 minutes. However a session will last as long as needed. This will vary depending on the condition. However, it should be possible to give an indication of how many sessions you will need after the initial examination. On the initial visit the physiotherapist will need to perform a thorough assessment. This begins with a talk about the problem and your general health. You will then have a physical assessment which will look into your movements and identify the affected tissues. This helps the physiotherapist make an accurate diagnosis of what the problem is which will then be explained to you. There is usually time to start the treatment on the first visit. Yes we offer home visits. Call the clinic to speak to our physiotherapist with any further queries regarding this. Yes, here at the clinic we cater for all ages. We do ask however, that any U-18’s/children are accompanied by a parent/guardian. Any further queries please call/email.